Optics began with the development of lenses by the Mesopotamians and ancient Egyptians, followed by the theories of light and vision, which were developed by Indian and Greek scientists and development of geometrical optics was made by Greco-Romans. The term ‘Modern Optics’ refers to the areas of optical research that largely developed in 20th century, like quantum optics. Modern optics encompasses the areas of optical science and engineering that became popular in 20th century. These areas of optical science, typically relate to the electromagnetic or quantum properties of light, and do include other aspects. 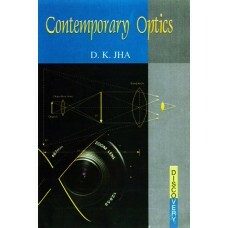 There are many a good book on ‘Optics’, still there is a need of improvisation. Hence this endeavour. Hopefully, our humble effort would prove to be beneficial for the students, researchers and concerned readers alike.